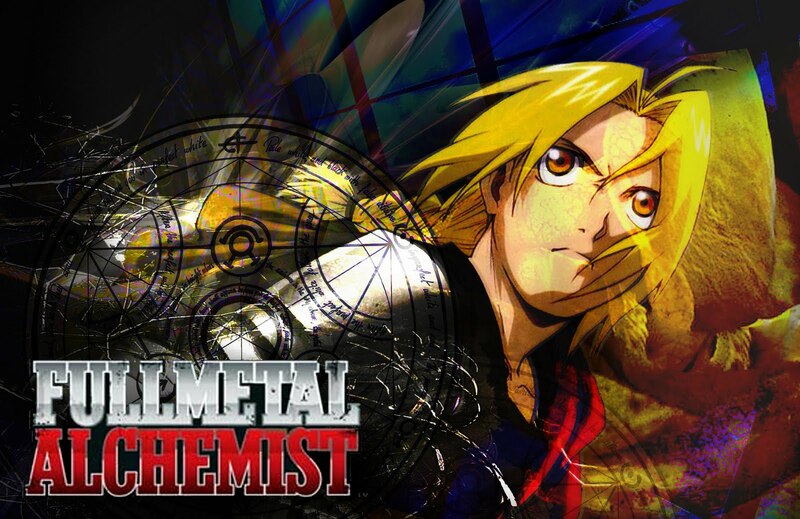 Fullmetal Alchemist (鋼の錬金術師 Hagane no Renkinjutsushi?, literally "Alchemist of Steel"), is a Japanese manga series written and illustrated by Hiromu Arakawa. The world of Fullmetal Alchemist is styled after the European Industrial Revolution. Set in a fictional universein which alchemy is one of the most advanced scientific techniques known to man, the story follows the brothers Edward and Alphonse Elric, who want to restore their bodies after a disastrous failed attempt to bring their mother back to life through alchemy. The manga was serialized in Square Enix's Monthly Shōnen Gangan magazine (starting August 2001 and ending June 2010) and currently has 26 tankōbon volumes. It was adapted into an animated television series of 51 episodes by Bones from October 4, 2003, to October 2, 2004, later followed by a film sequel that concluded the story of the anime. Fullmetal Alchemist would later spawn a second series calledFullmetal Alchemist: Brotherhood, which first premiered in Japan on April 5, 2009. Another feature film will follow the end of Brotherhood. A multitude of spin-off novels, original video animations (OVAs), drama CDs, soundtracks, and video games have been adapted from the series. A collectible card game, multiple supplementary books, and a variety of action figures and other merchandise based on the characters of the series have also been released. The manga has been licensed by Viz Media for publication in the United States, with twenty-three bound volumes released currently. Although there are no major differences with the Japanese version, some pages have been edited to avoid minor references to western theology. Funimation Entertainment has dubbed the anime episodes in the United States and Canada, and has also released them in all English-speaking DVD regions. The English version of the film premiered in a limited number of U.S. theaters on August 25, 2006, and was later released on DVD. Funimation and Destineer have also been releasing the video games from the series. In Japan, the Fullmetal Alchemist manga has enjoyed exceptional sales of 40 million volumes sold as of 2009. The English release of the manga's first volume was the top-selling graphic novel during the year 2005. In two TV Asahi web polls, the anime was voted #1 most popular anime of all time in Japan. It was nominated in six of the eight categories for which it was eligible at the American Anime Awards in February 2007, winning awards in five of them. Reviewers from several media generally had positive comments on the series. Fullmetal alchemist is a Japanese manga series written and illustrated by Hiromu Arakawa.I always Watch Fullmetal alchemist Online. Its really fantastic tv show.